New Homes from the high $400’s to just under $1,000,000 in Edwardsville, Illinois. Lots from $69,900. Premier Homes actively builds throughout the Saint Louis Metro East Region. Based in Edwardsville, IL we offer beautiful new homes in two great locations. Check our inventory of homes for sale in the communities listed below. Visit the following pages for more details on each community. 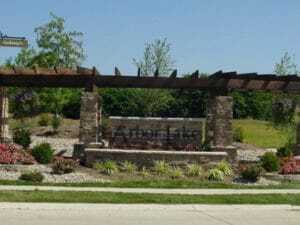 Arbor Lake is located in the city of Edwardsville in Madison County, Illinois. Edwardsville’s population was 25,071 in 2016. Arbor Lake community is located in the Edwardsville School District. From Interstate 55: Take exit 23, Go West on State Route 143, straight through traffic light to Governor’s Parkway, turn left on Bordeaux Drive to Arbor Lake subdivision. From Edwardsville: Take Governor’s Parkway East to Bordeaux Drive, (between Ridgeview Road and Interstate 55), turn right on Bordeaux to Arbor Lake subdivision.